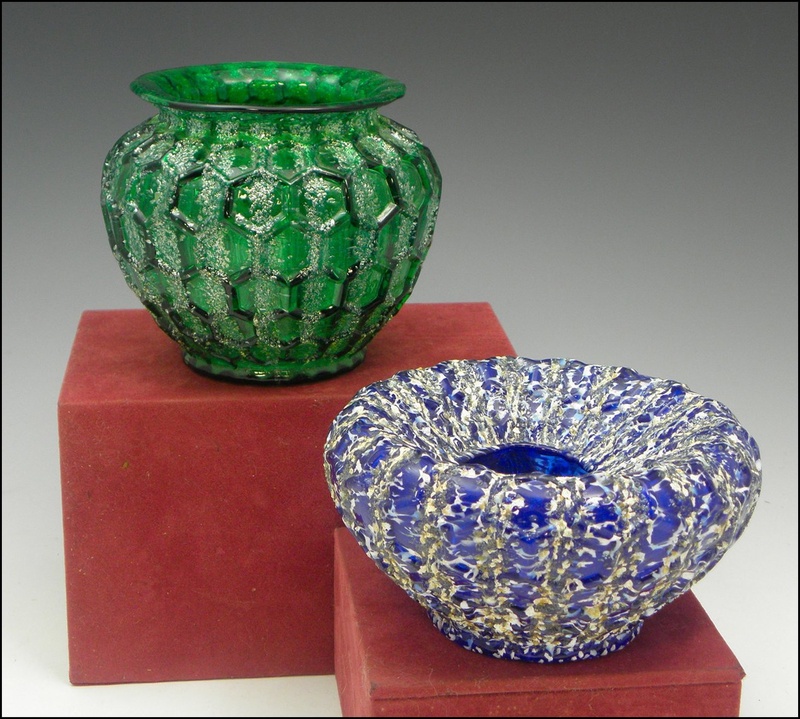 Here are some of my favorite pieces of Dugan glass (Dugan Glass Company, of Indiana Pennsylvania), all circa 1906. I have a small, all different 40 piece collection of this glass - simple, mold-made stuff but beautiful with a modern appearance that belies its age. 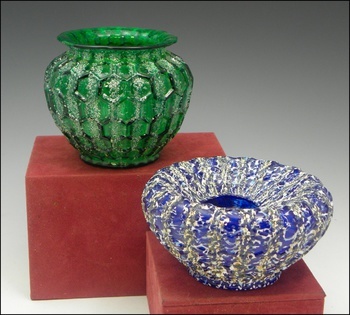 Among these photos are two very rare examples I was fortunate enough to obtain from Carl Burns, a noted glass expert, who provided the information on their rarity. 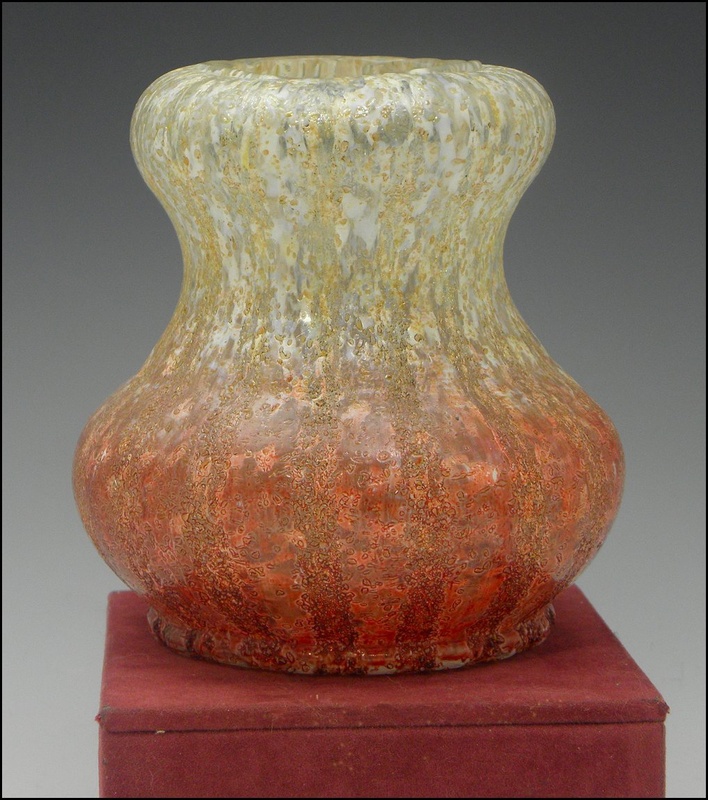 Picture 1 - Extremely Rare Dugan Gourd 4.5” H: BI-COLOR, shading from deep cranberry/ruby to a cream-white top. Bi-color pieces of Dugan Art Glass are almost non-existent, only a few examples are known. It could well be a "one of a kind" piece! You will likely never see another like it! Picture 2 - Dugan or Model Flint 5.0”H: Wonderful color and iridescence; note the blue/white “rainbow” diagonal line (see it clearly in the close-up view). 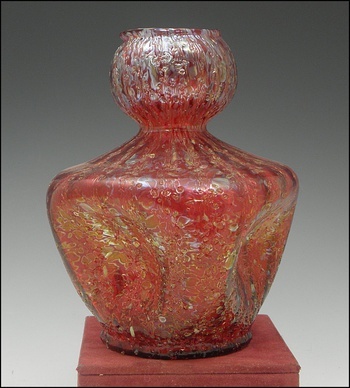 Picture 4 - Dugan Red Iridescent Frit Vase: 6.25” H: This is one of my favorites because of the color and shape. Red examples are fairly hard to come by and usually are the most expensive. LOUMANAL I have three red ones, all different shapes. The red ones are much less often found. 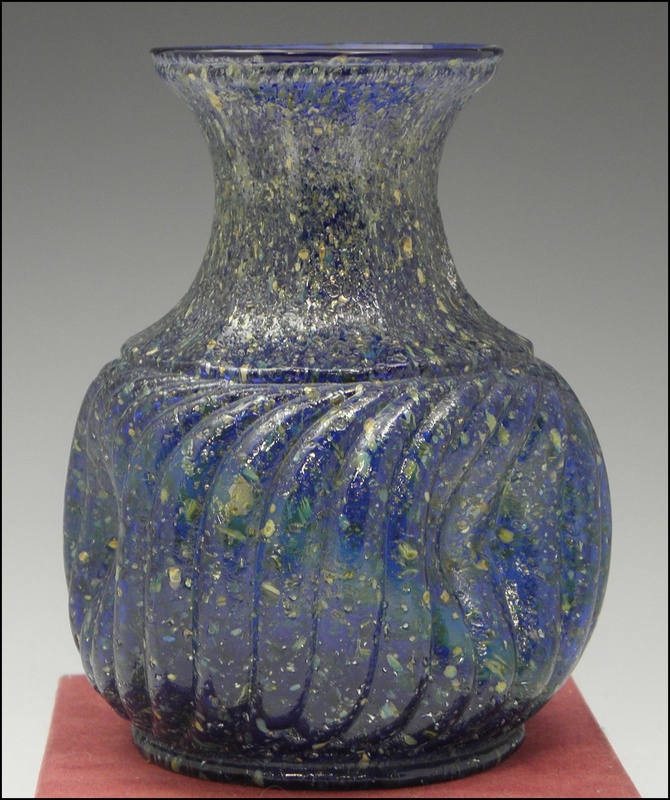 I love your pair of Harrach vases - talk about doubling your pleasure! Bob, I look forward to seeing it.